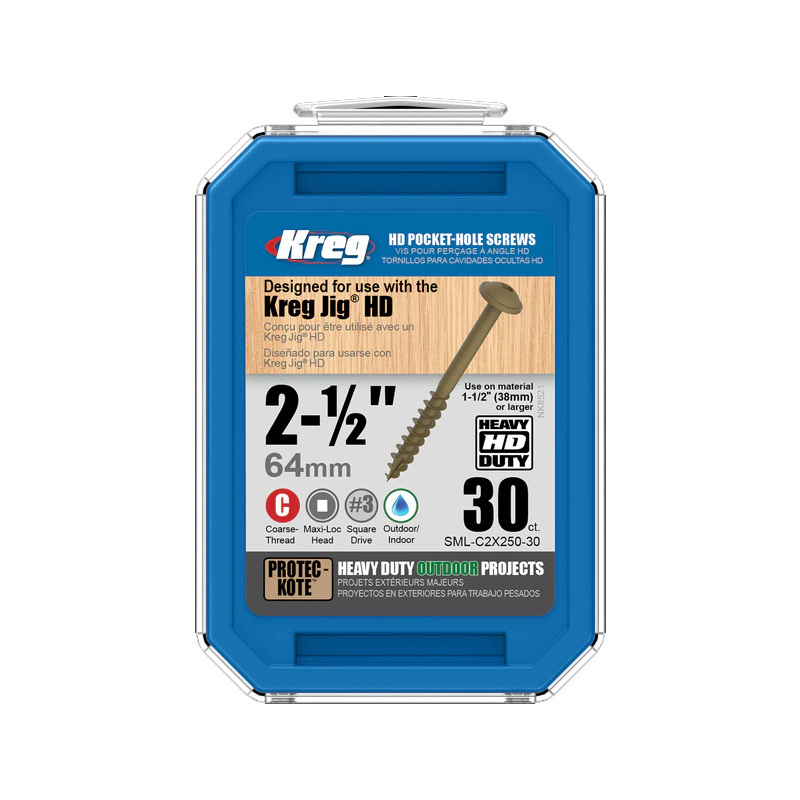 Kreg Jig® HD Screws are optimized for use with the Kreg Jig® HD and 11/2” and larger stock. 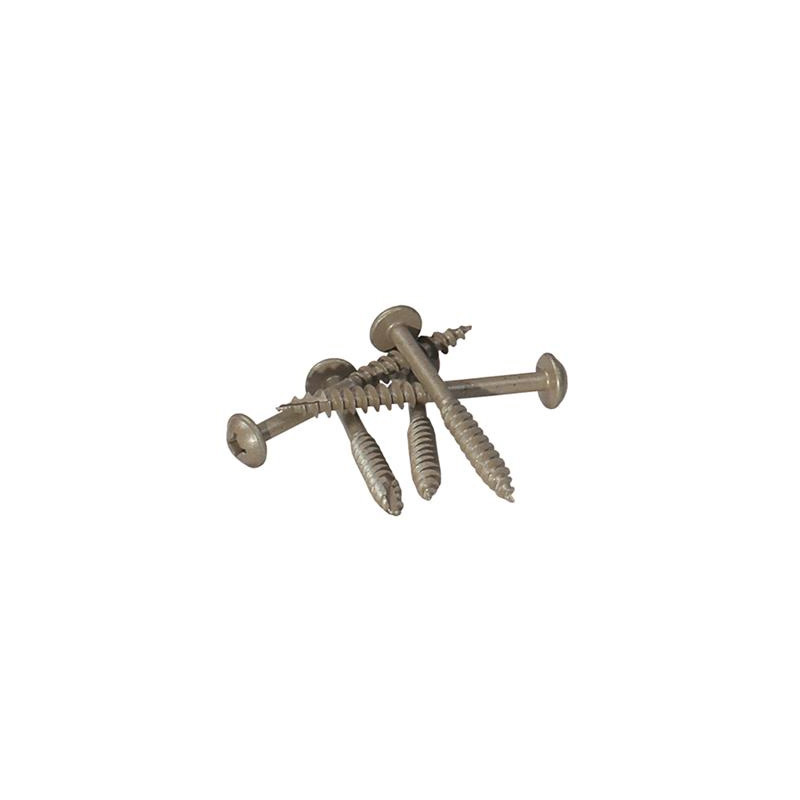 These large 21/2“-long #14 hardened-steel screws provide incredible shear-resistance and have a Protec-Kote™ finish with three anti-corrosion layers for long-term moisture resistance in damp or wet applications. 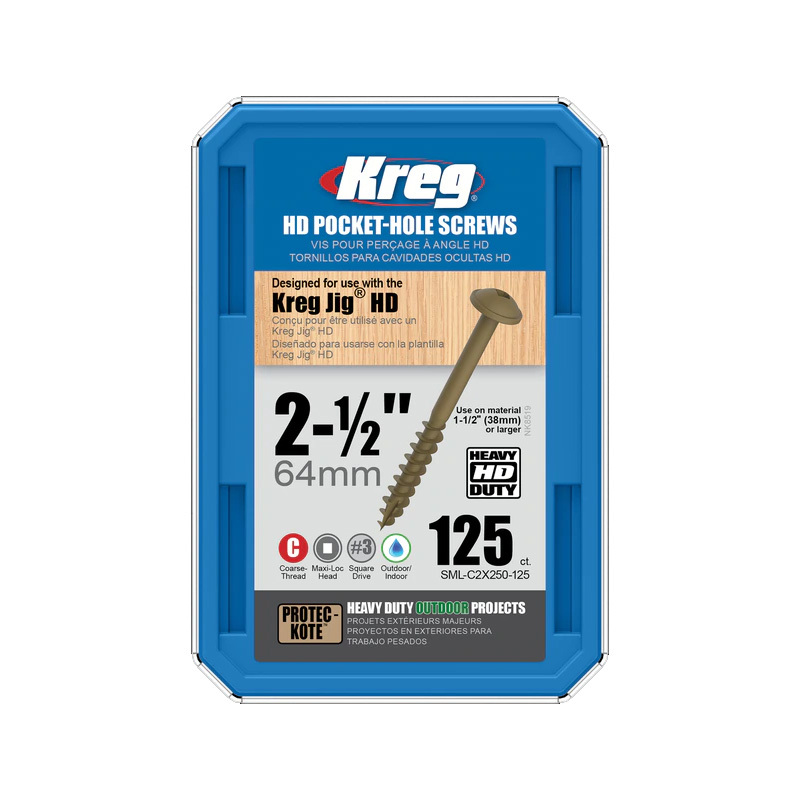 #3 square driver. Will work in treated lumber.